A lot has happened since the first potential lineups feature for the Big Ten was published back in August. 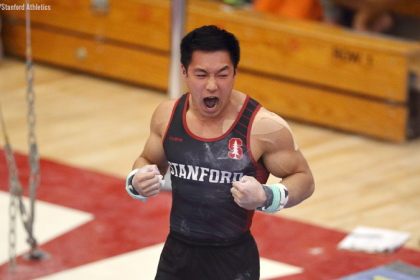 So in an effort to aid interested parties (read: fantasy gym players) in having the most up-to-date information about various teams, we curated all the updates—from injuries and freshmen joining in January to changes in lineup predictions and gymnasts no longer listed on their team’s roster—in one place. Let us know in the comments if we missed anything crucial! We’ve seen much more of Adnerys De Jesus this offseason than expected. She could be a factor on bars and beam, and her Yurchenko one and a half seems like a lock for the vault lineup. Expect Taylor Houchin to anchor the same with her new Yurchenko double. Kynsee Roby had foot surgery over Thanksgiving; it is not an Achilles, but she has indicated that she is out for the season. Anika Dujakovic also had surgery, and her status is unknown; but she is likely out for early season since we haven’t seen any gymnastics from her yet. De Jesus’ new events become important with Roby’s injury, and it looks like we’ll see Makayla Curtis on beam where she has been showing an excellent switch + switch all offseason. Mallory Mizuki, presumed freshman all arounder, has been on crutches in December team photos. With her likely out for at least the early season, Illinois will need to fill spots on all four. Mary Jane Otto has shown routines on each piece and could return to the all around for the first time since February 2017. 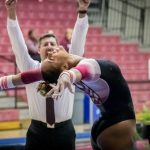 Brittany Jones, who did not compete in her first two seasons, has shown strong preseason bar work and is a likely competition or exhibition routine there. Morgan Bixler, sophomore transfer from Maryland, is likely in the vault and bars lineups. Grace Hester, originally a 2020 signee, will be joining the team in January. She is very tidy on bars and will be an option, with long lines and clean transition work. Her other events will depend on consistency. Iowa’s surprise of the offseason is a healthy Erin Castle looking strong in preseason work. She should be a factor on vault and bars after a presumed injury sidelined her in her freshman season. Freshman Bridget Killian has also shown solid work on beam and floor, including a big triple full on the latter, so expect her to appear in those lineups. The Hawkeyes lost junior Bre Fitzke, who was a regular beam and floor contributor in 2018. Maryland lost sophomore Morgan Bixler, who has transferred to Illinois since our first look at the Terps. She was a factor on vault, and her absence opens a hole in that lineup. In the Terps’ intrasquad on Dec. 6, Sabriyya Rouse stepped into Bixler’s lineup spot, and freshman Alexis Rubio anchored the six. On bars, freshman Sanya Glauber made her debut, and junior Alex Robinson—who hasn’t competed since early in her freshman season—was in the leadoff; Emily LeBlanc, who was expected to return to the lineup, did not compete. Robinson also anchored beam where expected contributors LeBlanc, Alicia Farina and Shynelle Agaran did not appear. Rouse and Collea Burgess, as well as junior transfer Tiara Wright, were in those spots. The floor lineup was as expected, featuring freshman Rubio in the three spot and Burgess as the anchor. Stalwart performer Kirsten Peterman was the only all arounder; she did not perform her recent upgrades, though she did warm up a full-twisting double layout bars dismount. 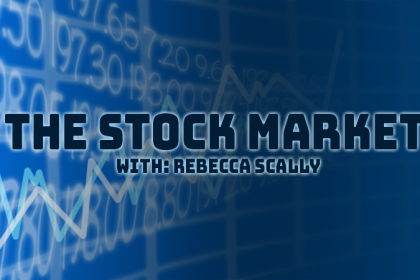 Olivia Karas is back! She performed every event except floor at the team’s Dec. 2 exhibition quad. Whether she will have floor back by January remains unclear. The surprise of that exhibition was Maggie O’Hara, who competed bars in the three spot and exhibitioned beam and floor with a wildly fun Star Wars set. Her routines could be important with Sydney Townsend presumed suspended and Abby Heiskell not yet back in competition form after her injury last year. Polina Shchennikova has also retired since we first looked at Michigan; the Townsend and Shchennikova absences make bars a question, but having Karas back and O’Hara as an option should assuage those losses. Anne Maxim did not break into the vault and bars lineups but did exhibition both. Her spot on those events seems to hinge on consistency. Freshmen Natalie Wojcik and Abby Brenner competed in the all around; expect Brenner’s beam spot to up for grabs, though, after form breaks resulted in a low score—despite the tighter judging on the event. Madison Osman also stepped into the vault and floor lineups in the two spot and exhibitioned beam as well. She is another key player while Michigan sorts out injuries and absences, seeming like the most likely fill for the Brenner beam spot, at least until Heiskell is healthy. Emma McLean competed beam and is a possibility there—but she’s not likely to remain if other options become available. We have seen preseason work from Gabriella Douglas and Roya Shirley, who missed all or most of 2018 with injury. Keep an eye out for Ally Hoyer and Madison McHale returning to lineups as well. Junior transfer Shannon St. Jean continues to show bar and beam work and is likely for a lineup spot on the former if not both events. Freshman Alaina Raybon has shown her huge and stickable double front in East Lansing; expect her to be the Spartans’ breakout star of 2019. Since we first looked at Minnesota, Hannah Willmarth has transferred from Washington. She did not compete in her freshman season for the Huskies but is a likely option for the Gophers on bars. Ona Loper, who suffered a midseason Achilles injury, looks to be back in form on all four and should be a factor on at least vault and floor starting in January. Penn State suffered a late preseason blow when freshman Dymiana Cox tore her ACL at an intrasquad. She was a likely contributor on vault and floor and a beam possibility. Cox’s injury puts more pressure on classmate Melissa Astarita to shine from day one. The Nittany Lions also gained sophomore Jessie Bastardi, who had signed with West Virginia for the 2018 season but never appeared on that roster. Bastardi was a consistent beam worker in J.O., something Penn State desperately needs. Unfortunately, videos of Bastardi are scarce, but expect her to provide depth on all four while pushing for the beam lineup. Miriam Perez has been absent from the Buckeyes’ preseason updates; she is not confirmed injured, but it is something to watch. Kaitlyn Hofland did not elect to return for a redshirt season. Rutgers had two late roster editions in Sage Littlejohn and Kiera Doherty-Herwitz. Littlejohn should see time on beam where she brings a unique mount and triple series. She is also a floor option with some cleaned up leaps. Doherty-Herwitz has massive skills—a Mustafina on bars and a side aerial to Liukin on beam—and is consistent on four inches. Expect her in that lineup, where her high score in J.O. was a 9.800. She is an option on floor, as well as vault where she performs a front handspring front pike and has trained the additional half for the 10.0 start value. Freshman walk-on Ashlyn Johnson is no longer on the roster. We had her as a potential option on beam. Freshman Maddie Quarles is now listed as VT/BB/FX on the roster. We originally had her as a potential contributor on every event but has been seen only doing basic saltos on the trampoline and no other gymnastics. Originally slated to join the Pioneers for 2020, Natalie Morton will be joining the team in January. She is listed as UB/BB/FX on the roster. The Pioneers will appreciate her beam work, and her clean bars provides another strong option for a deep Denver bars squad. Her floor will provide a solid lineup option should it be needed. Freshman walk-on Hannah Morrow never materialized on the Cyclones’ roster. We originally had her as a strong contender for the beam lineup. Freshman Makayla Maxwell tore her Achilles early in preseason and is likely out for the season. We had her as a lineup option on vault and floor. Nicole Lehrmann has upgraded her vault to a Yurchenko one and a half and has been progressing well. Anastasia Webb has also been training a Yurchenko one and a half, giving her two 10.0 SV options as she competed the Omelianchik last season. Freshman Allie Stern is keeping her Yurchenko one and a half. She switched between a full and the one and a half in J.O. Sophomore Carly Woodard competed in an exhibition spot on vault and floor. She mainly contributed on beam her freshman year. Junior Melissa Brooker, whom we’ve only seen on bars in college, showed a viable floor routine at an intrasquad and could be a factor in that lineup. Freshman Katie Chamberlain had surgery on her lower leg/ankle in early November and has been seen in a boot and on crutches. We had her as a potential contributor in the all around. Sophomore Sophie Bochenek has been working on a Yurchenko one and a half and a full-in that make her a strong contender to be a regular in those lineups. She competed on both events a few times in 2018. Brittany West is back from her Achilles injury and will likely be a big contributor on beam again where in 2017 she had a 9.820 RQS and was the EAGL beam champion. Grad student Megan Ruzicka, who is returning to the NCAA after a four-year hiatus, showed a solid bar routine at an intrasquad and could very well be a contributor in that lineup. She has not shown a competition routine yet in her college career. Sophomore Madison Smith, who is only listed at UB/BB/FX on the roster, is working on a front handspring double full, a 10.0 start that could very well make it into the vault lineup. Sari Thaler, who was expected to contribute on beam and floor, had shoulder surgery in November and is not available this season. Randi Morris and Taylor Worthington, who missed 2018 with injuries, are both back and showing routines. Expect both to be important on vault. The Chippewas competed at Michigan for an exhibition quad in early December; freshman Morgan Tong lead off vault, beam and floor, and we did not see any of her classmate Alaina Kosto. Freshman Sierra Demarinis landed lineup spots on vault and floor and had the exhibition spot on bars. Abbie Rose Zoeller was the surprise of the event for Central Michigan; the senior has previously been largely a floor specialist, with a handful of beam outings as well. She anchored floor in Ann Arbor and led off on bars. Skyler Memmel was strong on beam, tying for second on the event. We did not see any gymnastics from Macey Hilliker at the exhibition. The great surprise for the Eagles at the Michigan exhibition was sophomore Allison Smith’s new Yurchenko one and a half to anchor the vault lineup. Ciara Gresham also made her return from injury on vault, though she did not compete beam and floor, her two other pre-injury events. Freshman Caitlin Satler made her debut on beam and floor while classmate Shannon Gregory won the leadoff spot on the latter. At the Michigan exhibition quad, junior Taylor Buis, who has competed a smattering of vault, bars and beam before missing the end of 2018, made the lineup on all three events. Amelia Mohler, a junior bars specialist, also appeared in the beam lineup where she was superb and tied for second. Sophomore Dominique Militello, who did not compete last year, appeared on beam and floor. Her classmate Sarah Shirley competed floor for the first time in her career. We saw the return of Alli Broad—who missed the 2018 season—on vault at UIC’s Mixed Pairs exhibition. Mikailla Northern is also confirmed in competition shape, putting up a stellar all around program at the event. Freshmen Rylie Johnstone and Alisa Sheremeta made their debuts for the Flames. Johnstone vaulted a tucked Yurchenko full, and Sheremeta competed all four—she will be a standout. We have seen a fair bit of work from late freshman addition Maya Tran, who we can expect to see on bars and possibly vault. Air Force showed a great deal of depth at its intrasquad, but a few big absences could cause a headache for the Falcons. 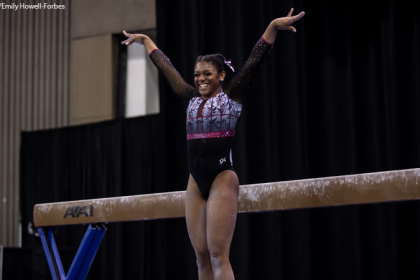 Bars and beam star Analise Howard didn’t appear after an unknown surgery in September, while top all arounder Tyler Davis was also absent for unknown reasons. Alaska is making good progress with its large number of injury returners. Tere Alonso, an all arounder who missed all of 2018 due to injury, has showed up on several events. Sophia Hyderally looks strong on both of her specialties, bars and beam, and seems to be adding floor to the mix as well. Rachel Decious wore a walking boot for several weeks due to a presumed ankle injury but has since returned to training. Sophomore Mariah York was prevented from competing in 2018 by a torn labrum in February, and while she should be fully cleared this month, she may not compete immediately in 2019 and be restricted to beam once she returns. Senior Michelle Shalit tore her Achilles in October, likely ending her career. She was a regular contributor on beam. At Seattle Pacific’s intrasquad, Shelbi Spivey had one arm in a sling and Emma Lamping was using a boot and a scooter, indicating likely injuries to both. Spivey is a returning competitor on three events, and we projected freshman Lamping to contribute on up to three. Freshmen Sarah Barron, Kelly Higginson and Brittany Vitkauskas were added to roster. Barron is listed as a bars specialist, Higginson is a vault and floor specialist and Vitkauskas is a vault specialist. Junior Madison Howlett is no longer on the Thunderbird roster. She was a bars staple in past seasons and was expected to contend for the lineup again in 2019. Junior Madi Tueller was added to roster as a VT/UB/FX specialist. She originally signed with SEMO but never materialized and transferred to Utah State. She competed with Utah State’s club team in 2018. Also, sophomore Logan Varnadore is back in full form after missing 2018 with a shoulder injury. Mikaela Meyer did not perform at the team’s Dec. 7th intrasquad. She held the team’s highest RQS on vault in 2018. Freshman Glory Yoakum did not appear at the intrasquad. She’s expected to be in the mix on all four, but it’s unclear what held her out of the intrasquad. Classmate Maddie Straker also scratched bars but came back to compete beam and floor. Shelby Schumaker, one of the team’s top vault, beam and floor contributors, announced her retirement this fall. However, there are a few more new faces listed on the roster who can potentially fill this gap—Alexis Castellaneta, Kayla Staquet, Alexis Frankowski, Rachel Doll and Kaylee Wead. Watch for Frankowski on beam and floor and Doll and Wead on vault. Gustavus has two more freshmen than we originally thought. Lauren Smith joins the team all the way from New Zealand and looks like she could be a potential vault and floor contributor. Expect to see her compete in an exhibition spot at least. Callie Van Dyck is a recent qualifier to the Minnesota high school state competition. Sophomore Taylor Churchill is no longer on the team. Churchill was a potential bars contributor. Sophomores Jenna Kret and Chloe Spencer are no longer on the roster. Kret was a potential vaulter for the Pride. Mackenzie Nicholson, Shaquilla Payne and Rachel Hasting are no longer listed on the roster. Nicholson and Payne were major players for the Blue Devils, contributing big scores on vault, bars and floor. Back-to-back national all around champion Lisa O’Donnell is no longer listed on the roster. This is a huge hit for the Warhawks as she was one of the top contributors on every event. However, Lewa Evans is back for a fifth year after going down early last season with a knee injury. Expect her to potentially fill O’Donnell’s spots on vault, beam and floor. Sophomore returnee Hayley Hartfiel is now listed as a student manager. The Warhawks also had some changes to their freshmen. 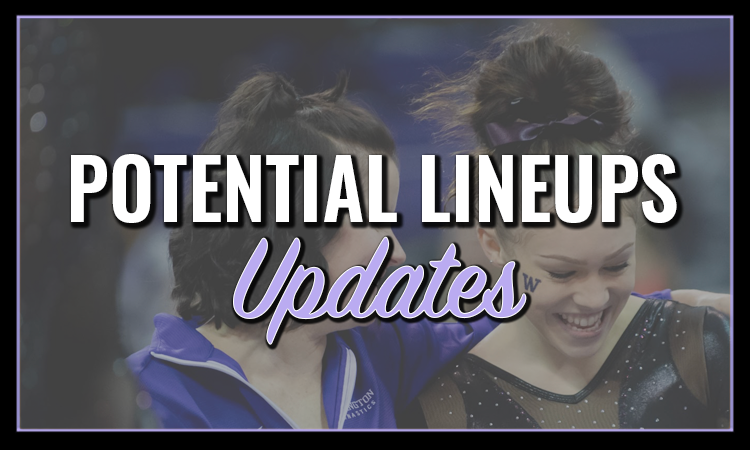 Madison Latzke, Emily Whitis and Morgan McEntire—who was a potential vault, beam and floor contributor—are not on the roster. Abigail Missiaen, a potential vaulter, and Mallory Walerko have been added. Toni-Ann Williams remains a question mark, seeming to only be training beam after a dislocated elbow earlier in the year. Maya Bordas seems to be recovering well from the injury that ended her 2018 season and has been spotted on several events. Freshman Sekai Wright was in a boot and on crutches during an intrasquad in mid-November. She was spotted again recently on Nia Dennis’ Snapchat in a boot and on a scooter, and she has not appeared in training clips since. Freshman Cammy Hall is out for the season with an Achilles injury. We had her contributing on vault and potentially floor. Missy Reinstadtler is also dealing with an ankle sprain. At the very least, it limited her capabilities at the Red Rocks Preview Dec. 7. Senior Kristyn Hoffa and Madeleine McLellan did not compete at Washington’s recent intrasquad, with both presumably still working back from surgeries earlier this year (wrist and knee, respectively). Sophomore Geneva Thompson will return strong from her freshman-year Achilles tear, competing three events and likely adding beam soon. Sania Mitchell, originally a 2020 recruit, will be joining the team in January. Her best events come on vault and floor, and her routines there should add valuable depth for the Crimson Tide. Sophomore Meredith Sylvia made her debut on bars at the team’s intrasquad, presenting herself as another option for Auburn on the event. Sophomore Jazmyn Foberg underwent elbow surgery, which will likely force her to miss the 2019 season. Foberg was a regular contributor on vault and bars for the Gators last season. At a recent intrasquad, Amelia Hundley and Alyssa Baumann showed upgrades on vault, both performing Yurchenko one and a halfs. Freshman Megan Roberts was spotted in a boot and on a scooter on Georgia Snapchat Dec. 7, just a day before the team’s First Look preview. Volunteer assistant coach Suzanne Yoculan noted on Facebook she has a high ankle sprain and will be out for eight weeks. Roberts was expected to compete on vault, bars and floor for the Gymdogs.